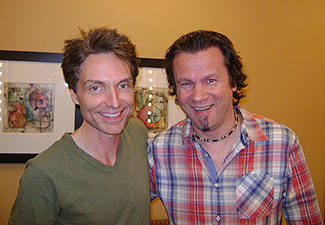 For over 30 years, one way or another Richard Marx has consistently made his mark on the music industry. 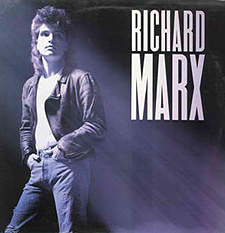 His debut single 'Don't Mean Nothing' and self-titled debut album may well have kicked-started his career as a solo artist back in 1987, but his 14th and latest chart topper, 'Long Hot Summer' (performed by Keith Urban) has given Marx the distinction of having a song he wrote (or co-wrote) top the charts in four different decades! Having worked in the music business for so many years, ever since singing commercial jingles written by his father when he was five years old, Richard studio albums, singles, and Greatest Hits collections have sold millions worldwide. Indeed, his hit singles were routinely found at the top of the charts and continue to be mainstays on pop and adult contemporary radio. But beyond his tremendous success as a singer/songwriter, Richard has earned a reputation as a sought-after producer, working behind the scenes with some of the biggest names in the music business. 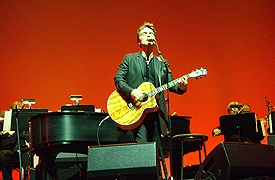 Now out on the road performing different stylings of all his hit singles and more, his first-ever solo acoustic tour made its way to the Sound Board (located inside the Motor City Casino) here in Detroit, MI ... and backstage is where Richard and I settled down for our annual chat-chit. Usually taking it from the top (re: early stats), today we’re gonna take it from the bottom! 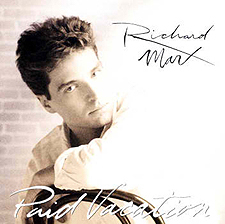 Let’s talk about the right here right now latest Richard Marx achievement - four decades of writing credit for #1 songs. Which has now been achieved with Keith Urban‘s ‘Long Hot Summer’ single. Congratulations! “Yeah, that’s the newest stat. I couldn’t be more proud. I’m only a little pissed off though that I had to share it with Michael Jackson,” he sarcastically adds. Yes, you will! “Thank you. I do feel like I have just now started to learn how to write songs. I really do. I don’t think I knew what I was doing for the past three decades,” he actually manages to say with a straight face. Yes, that’s it exactly. Thank you. At last. I’m gonna hold you to that! Being that this is your 3rd #1 hit on the country chart as a co-writer, has it crossed your mind to write, sing and then release a Richard Marx country album next, perhaps? "It has crossed my mind, only to be jettisoned off it. The only way to have success at country radio is to embrace it fully and completely, and I have no interest in that, nor in playing the sleazy games that go with it. I do like the idea of doing a more organic, Americana type record, so .... that's probable." Your recent concert at the Motor City Casino was a combination of a solo acoustic performance together with a 20 string orchestra. So, why has it taken this long to get strings behind you? "I actually did some shows with symphony in 1994, and enjoyed it. But I think for a long time the idea represented 'old' to me, and that was anathema at the time. Now ... I AM old!!! So I'm loving not only singing and playing with strings, but writing many of the arrangements myself, too." Taking you back, your music career at the age of 5, singing commercial jingles for your father. To this day which of those sung commercials was your most proudest moment to watch/listen to on TV, and which was the one you had to always turn off? "I liked all of them at the time. But I didn't feel pride in singing them. I felt, and still feel, immense pride in my father for writing and producing them. That's a very special kind of talent that he had in spades." Then aged 17, it was Lionel Richie that enticed you to move to L.A. where he was recording his debut solo album - which you then contributed backing vocals to. At that age, and having a mega star like Richie beckon you to L.A. was there any trepidation in you buying your ticket? "I had the full support of my parents to go out to LA and give things a try, and having Lionel in my corner certainly helped. It gave me a place to go every day and learn about making records. And it paid me a little bit of money so I didn't completely starve." You then went on to do backing vocals for Madonna, Whitney Houston, Dolly Parton, George Benson, Barbara Streisand, Luther Vandross and more. In reflection, if you had to choose one stand out moment from those days, which one would it be and why? "I'd go with Lionel on that. It wasn't just that it was my first real sessions, but this was a guy I REALLY admired ... whose voice and writing I thought was amazing. And still do. But in 1982 I was such a huge fan of his, and there I was singing on his records. Surreal!!!" And, as mentioned, four years after moving to L.A. and with your demo tape having been rejected by every label in Hollywood, suddenly Bruce Lundvall of EMI/Manhattan Records reached out ... and your self-titled debut album was born. Before he stepped in though, had you considered returning back home with your tail between your legs? "No. That was never an option. I bided my time doing lots of sessions and writing songs for other artists, and frankly, right before I did get a deal with Bruce, I convinced myself that I'd be okay to just be a writer and arranger and producer. I just wanted to be in the music biz." Richard Marx - "Scared shitless, but pretending to be confident." Repeat Offender - "I can hear the sound of having sold 3 million albums. Stronger record. More consistent." Rush Street - "All I wanted was to NOT do 'Repeat Offender 2' so I tried hard to make a harder, more biting record that featured Tommy Lee and Terry Bozio. Looking back, despite selling millions of copies, I think I went too far and alienated some of my audience. Too all over the map." Paid Vacation - "Most fun album to make. Did it all in a home studio in LA. Worked from 10am to 5pm and was home for dinner every night. Really great time in my life." My Own Best Enemy - "Much of this album represents some of my favorite stuff I've ever done. I think 'Ready To Fly' might be my best song so far." 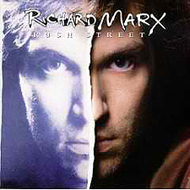 Did you know you only face the camera on your album covers three times: Rush Street, Duo, and Stories To Tell. The first being a split shot, the second a shot of you and Matt, the third the ONLY full face image ... thoughts?! "Never thought about it. I've always been very self conscious so photo shoots and album covers were worse than root canal. Still are." Looking at all your album/single covers, your successful chart charge through the decades brought with them changing hair styles. So, were you ever in charge of your hair style for album and single covers or was that down to a fleet of label stylists? "If ONLY I had listened to stylists back in 1989!! I was convinced that I would look even more ridiculous with shorter hair, so it took years before I surrendered. But I still maintain that my mullet, technically, only lasted 2 and a half years .... which was 2 and a half years too much!" ‘Don’t Mean Nothing’ - What, in life means nothing to you at this stage of your career?! - "Tabloids and political promises"
‘Satisfied’ - What one thing completely satisfies you more than anything else these days?! - "Time with my sons." 'Right Here Waiting’ - What one thing pisses you off the most to have to wait for?! - "Slow drivers to get the f**k out of my way!" 'Hazard’ - After all these years, let's set the record straight ... in your mind, now or then, did your character from the song actually kill the girl (he left down by the river) ... or was he honestly innocent?! - "He loved her ... he adored her ... he would kill anyone who tried to hurt her ... he was innocent." ‘Now and Forever’ - What one thing will you always remember, now and forever?! - "Summer of 1994 ... playing a show in Chicago at the place I grew up going to shows ... with a symphony ... and my father conducting them behind me all night ... and the smiles he and I exchanged." 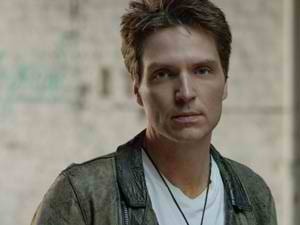 Christmas is just 2 months away, so what does Richard Marx usually do for the Christmas holidays and NYE? "I love Xmas and get totally into the holiday spirit. NYE is for people who drink way more than I do." Will you ever release a Christmas CD, perhaps? "My first Xmas record ... an EP of 5 songs ... comes out in a month. It's called, imaginatively enough, The Christmas EP." Finally, and throwing you a journalistic curve ball, ExclusiveMagazine.com (and myself) love penguins … do you?! "Nope. Sorry. They're dirty and they smell awful. Just like the paparazi!!" Now Read The Brand New RICHARD MARX Live Concert Review From His Motor City Casino Stop in Detroit!